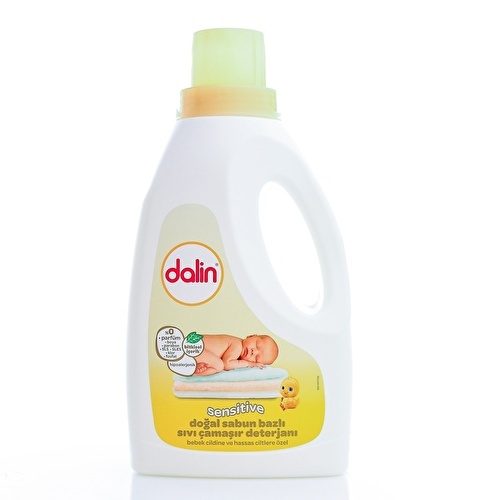 Dalin baby care specialists have developed a natural formula of liquid laundry detergent using soap derived from vegetable oils. With perfume and dye-free, dermatologically tested content, you can use it safely in your baby's clothes from day one. 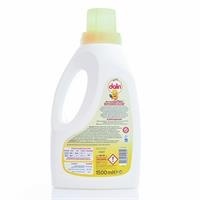 It is effective against all stains that may occur in baby clothes. 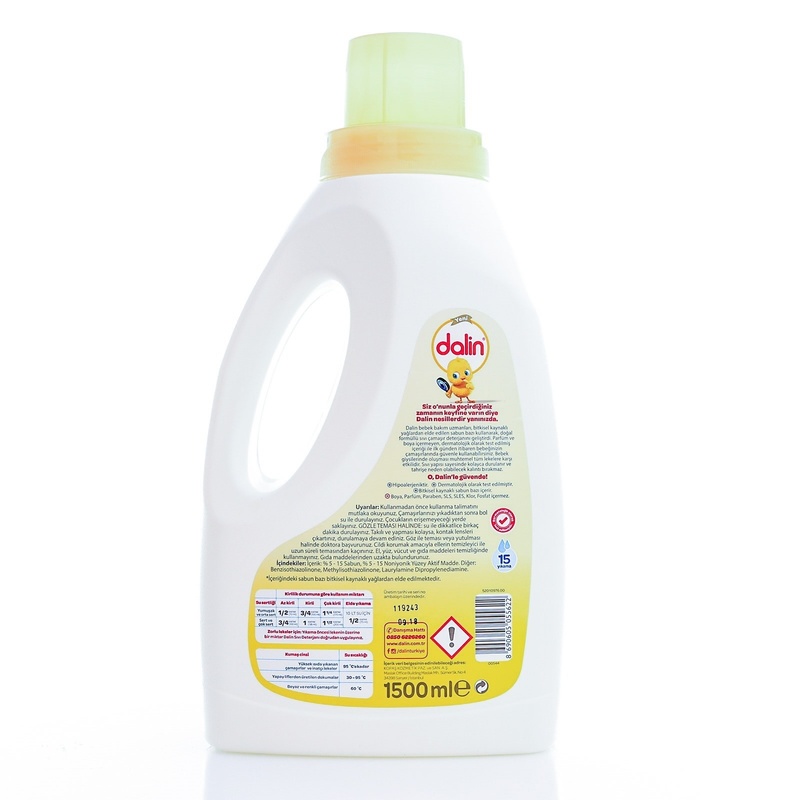 Thanks to its liquid structure it is easily rinsed and does not leave any residue that can cause irritation. Herbal sourdough soap contains some. Paint, Perfume, Paraben, SLS, SLES, Chlorine, Phosphate free.